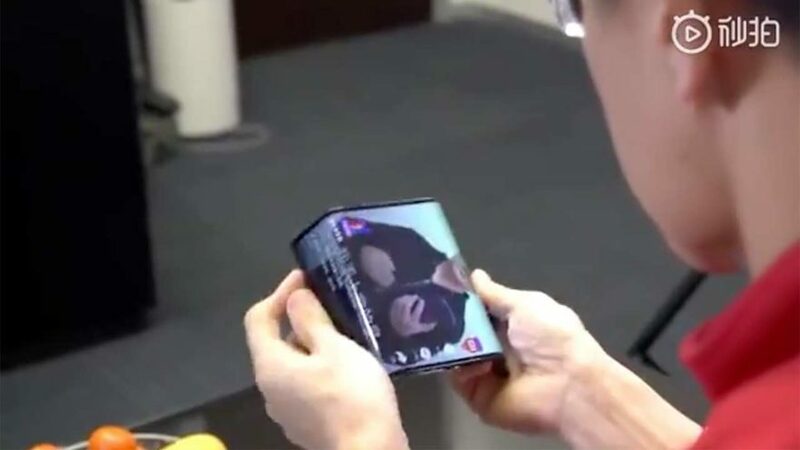 We’ve seen devices that pass themselves off as foldable phones. But we have held off from calling any unit as such… until the Royole FlexPai came along. Thing is, it does not seem to be as premium as we had wanted it to look. Now comes Xiaomi’s own take on the folding smartphone. Xiaomi has finally confirmed that it is working on one by releasing the teaser video below. The device seen in the clip — which looks more of a tablet at first — has a three-panel design. The left and right panels can be folded backward to turn it into a smartphone, complete with a power button at the top. Seems pretty neat! It’s unlike the prototype that Samsung showed off at its developer conference in the U.S. last year, which becomes a handset when folded like a book. According to Xiaomi co-founder and president Lin Bin, it’s still an engineering model — they don’t even have a name for it yet. Check out a translation of his update on Chinese social-media platform Weibo. The Xiaomi foldable phone was first leaked almost three weeks ago by Evan Blass. At the time, even the reliable tipster wasn’t sure of the authenticity of the video sent to him, which you can watch below. Well, it turns out that it’s not a fake, after all, is it?